Versace glamour and luxury on your table. 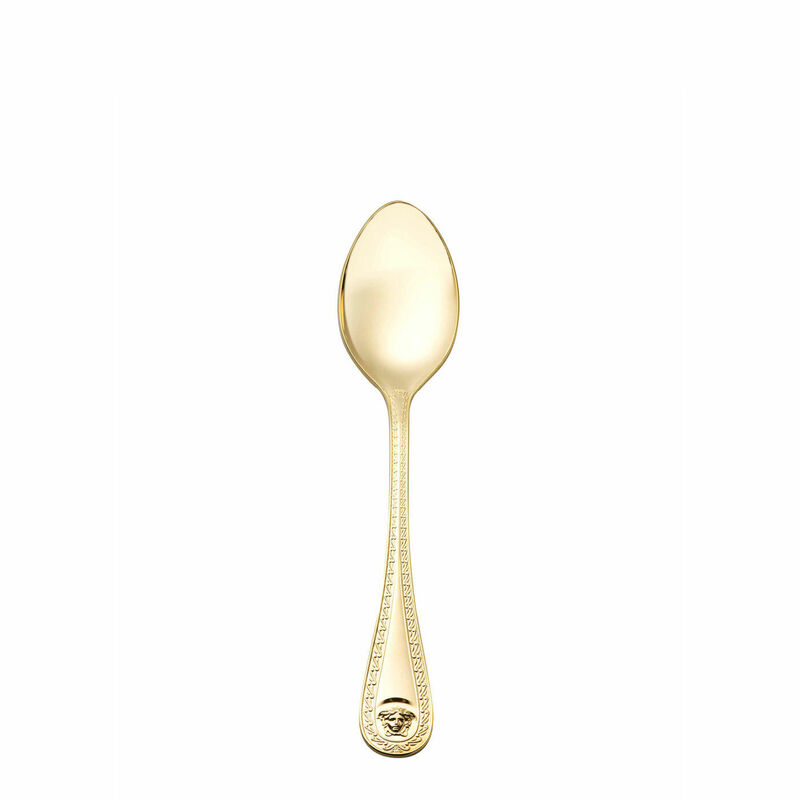 This cutlery collection is made with heavily Gilded with 999 fine gold. Please note Gold plated cutlery is to be cleaned by hand. The finest hard gold is gilt onto the cutlery pieces through electrolysis. Clean all items straight after use. Don’t let any food residue or other fluids dry on as they can corrode the gold plating. Remove heavy staining with a soft cloth, a mild cleaning agent and lukewarm water. Then soak the cutlery in warm to hot water containing a mild cleaning agent until the staining has been lifted from the surface. Clean the gaps between the forks thoroughly and rinse off the whole surface of each piece of cutlery from top to bottom using clear water. Dry each piece of cutlery thoroughly with a soft dish cloth. Store the cutlery in a clean, dry place, preferably in a cutlery box, in order to avoid tarnishing. Buff your cutlery pieces once to twice a year with a polish especially suited to gold cutlery in order to keep the cutlery in peak condition. Alternate the cutlery regularly so that equal wear is maintained for all cutlery pieces.